This weekend the Sweet Shoppe designers are filling their shoppes with all sorts of gorgeous new goodies for your shopping and scrapping pleasure and LJS Designs is no exception. I can’t wait to show you all of the gorgeous new kits that Lorie has added to her shoppe, so let’s move along to the good stuff. A new digital scrapbooking album from LJS Designs, Photo Focus: Easy Album is the perfect pack for showcasing all of your favorite family, vacation or everyday pictures! With plenty of space for photos, titles, quotes, and other word art, you’ll be able to personalize your pages in fun and creative ways. This colorful pack of 16 layered templates will help you complete an album in a snap so that you can go out and make more memories with your loved ones! A digital scrapbooking collection by LJS Designs, Snips and Snails & Sugar And Spice: Bundle, is perfect for documenting the magic of raising little boys and girls. 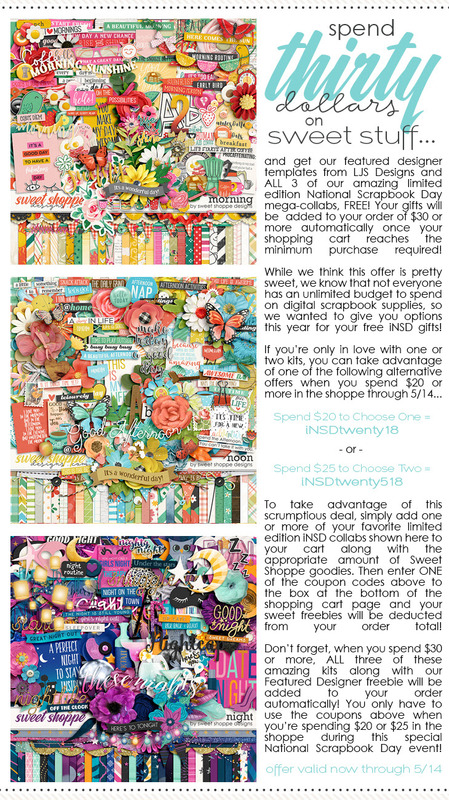 Bundle contains Snips and Snails: Bundle & Sugar and Spice bundle. A digital scrapbooking kit by LJS Designs, Snips And Snails celebrates the fun, adventure, and wonderment of raising young boys. From dinosaurs and race cars to video games and basketballs, this kit has everything you’ll need to capture the rough and tumble spirit of boyhood. Bursting with color and imagination, Snips And Snails is as vibrant as your little one. 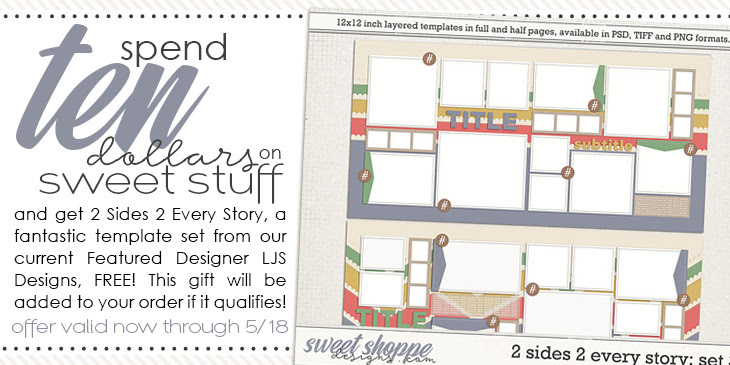 They don’t stay young forever, so let LJS Designs’ kit help you chronicle your memories of these precious years. A digital scrapbooking bundle by LJS Designs, Sugar And Spice, is a royal collection that celebrates the magic and merriment of raising a daughter. You’ll have a ball with this one as it has everything you’ll need to record your little princess’s very own fairy tale! From lollipops and butterflies, all the way to unicorns and enchanted castles, this colorful bundle captures the giggles, fierceness, and curiosity of girlhood. They don’t stay young forever, so let LJS Designs help you chronicle all your memories of these precious years..
A digital scrapbooking bundle by LJS Designs and River Rose Designs, What If You Fly is an uplifting collection about the power of believing in yourself. As parents, we have the hard task of pushing our baby birds out of the nest and letting them fly high and free on their own. What If You Fly? with it’s soft color palette and numerous themed elements, is all about encouraging our youngsters to believe in their own strength and abilities as they leave our nests. I hope that everyone has a wonderful iNSD weekend and that you have time to swing by the SSD Forum and join in on the fun and games happening over there. This entry was posted in Digi Events, LJS News, LJS Products, Random Stuff by Robin Sizemore. Bookmark the permalink.